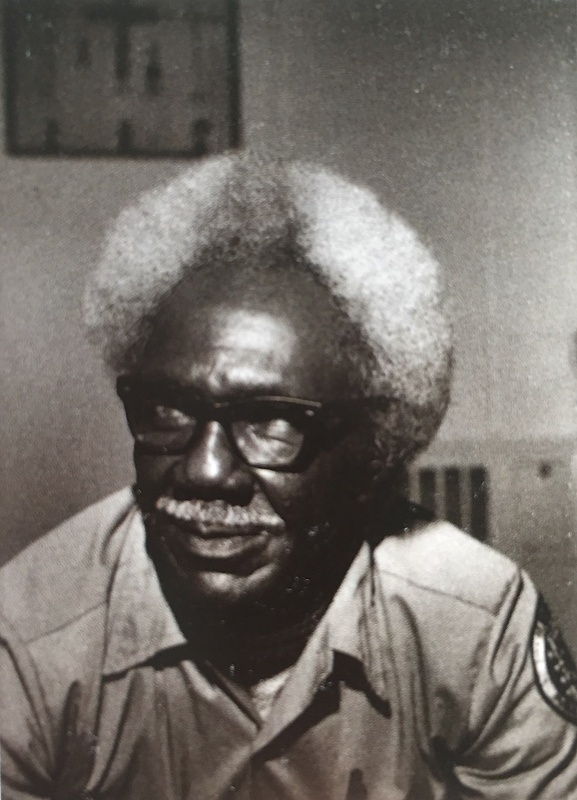 Theodore Hill worked for many years as a custodian for the City of Atlanta's Department of Sanitation, and spent his off hours as a caddy at the golf course of a local country club. A man of strong religious convictions, Hill has always decorated his living quarters with his own icon-like assemblages. These works, usually focusing on the life of Christ, combine painted cardboard with a variety of materials ranging from rocks, broken glass and mirror, marbles, fabric scraps, and discarded bits of metal and wood, to pecans and peanuts. Hill's work came to the attention of the public in 1986, when he submitted it to a juried exhibition of art by Atlanta city employees (he finished third in the "amateur" category). Hill divides his creative efforts between art and music and frequently performs his own gospel and blues compositions at church and public gatherings.